Twin City Insurance is a family owned and operated company. We have been providing insurance to Texas and New Mexico residents since 1999. At Twin City Insurance, you are treated like one of the family. Our licensed and knowledgeable agents can provide a perfect quote for you. Whether you need liability, full coverage, homeowner, or commercial insurance, Twin City Insurance is the agency for you. Whether you need liability insurance for an older sedan or full coverage for your new sports car, Twin City would love to help. Young and old drivers are always welcome. Even if you've had a tciket or an accident, there is no reason to pay more than you have to. Same day SR-22's are also available upon request. Twin City Insurance can also help with your home insurance needs. In addition to a homeowner's policy, we can provide you with a variety of quotes including, flood coverage, renter's coverage, vacancy coverage, and much more. Twin City Insurance can also help you with your commercial insurance needs. Whether its is a strip mall, workers comp, or a fleet of company vehicles. One of our experienced representatives can provide you with a quote. Everyone talks about the discounts they'll give you; but often the price starts high and you still end up paying more. Bring in your existing home, auto, and business policies and we'll help you sort out some options that can increase your coverage while lowering your monthly payments. Depending on your situation, our underwriters offer discounts for good driving records, good grades, multi car discounts, passing a defensive driver's course, insuring home and auto, etc. Call us today so we can work out a quote and start saving you money. To best serve your insurance needs, we are open Monday 10:00a.m. to 6:00p.m., Tuesday through Friday 9:00a.m. to 6:00p.m., and Saturday 10:00a.m. to 3:00 p.m. Your personal check and all major credit cards are welcome. Scheduled automatic deductions from your checking account can keep you from forgetting to send in your payment and sometimes lower your insurance costs. Choose your best payment option! Why deal with two insurace offices? 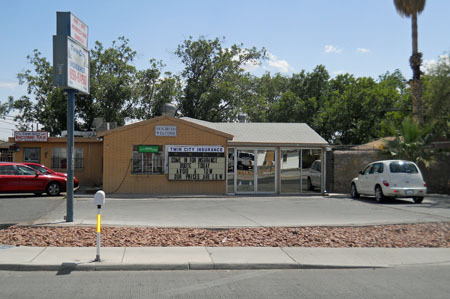 Twin Cities Insurance is licensed in both Texas and New Mexico. Whether your home is a block away or in Ruidoso or Austin, Twin City wants to earn your business. They are proud to serve many families throughout both states. Call for a free consultation and rate quote today. Send us your comments or ask for a quote. Someone will follow up by the next business day.